The Enth Degree Fiord L/S Ladies Top is a great all rounder top that can be used for many different sports and activities. It is a thermal item that is perfect jetskiing, kayaking or snorkeling. 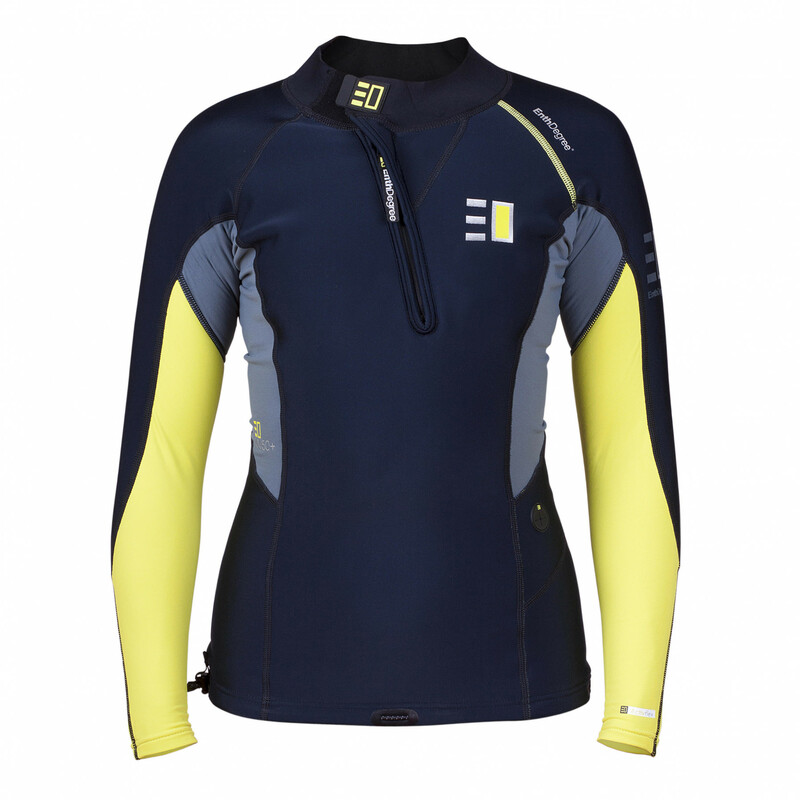 The unique design used Enth Degree's Fernotherm 3 wind proof, water proof and thermal material on the body and shoulders and the Activflex material on and under the full length arms. This gives you the most amount of free moving flexibility that you could ever get whilst wearing a thermal top. The Activeflex is a 4 way stretch with flat lock stitching and a UV 50+ sun protection rating. The Fernotherm 3 has a water resistant outer layer that is a woven nylon that repels water to stop absorbtion and is wind proof and the inner layer is a soft touch fleece that provides warmth, also UV 50+ sun protection. With these 2 types of material makes the Enth Degree Fiord Top and you will not be dissapointed when wearing this extremely comfortable, light weight top. Another great feature to this, is the YKK zipper on the front that allows easy access in and out and keeps the angled comfort neck seal firm when done up.